ANTICIPATION And now, Lord, what wait I for? DRAINED surely every man is vanity. Selah. Feelings are a odd thing and as one has said poetry is the language of feelings. It reaches beyond sight and sound into the senses. It is The language of the heart. The psalms are an invitation to explore those feelings. It’s thought that feelings describe our inner reactions to our horizontal relationships with people and events, but even deeper, to our vertical relationship to God and the way he allows life to work, in the unpredictable patterns as they do. It’s an exposure to God and his dealings and many of the Psalms could be titled Psalms of disorientation, as raw feelings are exposed and naked before God, or in reality to ourselves. AN ATTENDED CRY and he heard me. The Psalmist felt distressed. He was being squeezed by a tight confining situation. He did the wisest thing he could do by lifting it all to the Lord. FABRICATIONS and from a deceitful tongue. FRUSTRATIONS V.3 What shall be given unto you? There is deep hurt in our soul from the false slander from others. Things have been arranged out of context against us. We want to see them caught in the trap they’ve set for us. It’s hard to ingest our resentments but we need to turn it over to God. REPAID WITH A SCORCHING SEAR with coals of juniper. It can to take our sharp scorching hurts and forgive. We want to see consequences and results that stab and sear. But Jesus has showed us how to forgive. AN INCENSED VIOLATOR V.6 My soul has long dwelt with him that hates peace. Mesech and Kedar are the ancestors of Islamic nations. They claim to be promoting peace but war appears from their hearts. TERRORIZING COMBAT they are for war. When others are for war we have to leave them in God’s hands. This is the most important step in dealing with lies and slander, which is to be in the right place before God. We are not defined by the lies that people say about us. We are defined by the truth of what God says about us. We cannot control others responses. We leave that between them and God. We give up our right to play judge, jury, and executioner all rolled into one. This is the way of peace. Life is not easy life. Sorrow interferes and we have absence of joy in place of full joy. ‘Fullness of joy’: means perfection of joy, and the absence interference. This deals with our heartbreaks. 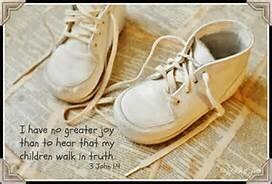 Fullness of joy is only found in Gods Presence, without Him there is no joy. “In thy presence is fullness of Joy”. 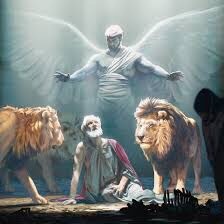 Gods Presence is, the Triune God, Father, Son, and Spirit, one God. In His presence there is always fullness of joy. God the Son is now the God/man, who took our human nature into union with His Person. This union is permanent, and will never be reversed. He will be visible to our human eyes, and He Himself looks forward to the time when He will have all His people with Him. “Father, I will that they also, whom thou hast given me, be with me where I am; that they may behold my glory” (John 17:24). That will be fullness of joy. We taste the joy of heaven now by meditating on the truths of the word of God, in Gods Word we get the atmosphere of Heaven. Charles Spurgeon wrote; a little faith will get us to heaven and a lot of faith will bring Heaven to us. Faith grows by consuming Gods Word. TO THE ONLY ALTERNATIVE for in You do I put my trust. THEY ARE SATISFYING in who is all my delight. THEY ARE DISCARDED nor take up their names into my lips. THE LORD IS MY RELIEF You maintain my lot. THE LORD IS MY RICHES I have a good heritage. THE LORD IS MY REFLECTION my soul also instruct me in the night seasons. MY ENTIRE BEING IS AT PEACE my flesh also shall rest in hope. I WILL BE RESTORED neither will you suffer me to see corruption. I WILL BE RELAXED at Your right hand there are pleasures for evermore. I NEED FAST RESOURCES Make haste to help me, O LORD. HINDER ALL OFFENDERS and put to confusion, that desire my hurt. HAUNTING OUTRAGE of their shame that say, Aha, aha. REVERENTIAL Let God be magnified. TROUBLE IS TRIUMPH O LORD, make no tarrying. “Make haste, O God, my soul to bless! Will magnify thy matchless grace.” C.H.S. My dad, years ago, was convinced someone was stealing our plastic garbage cans. Weekly he’d put them out for the trash man to pick up, and next day, low and behold, they disappeared. It was a compelling moment, and the only reasonable thing was to load the gun and wait. It wasn’t a question of value, but a stand for possibilities. There were things of high worth that were at stake, and we had an appointment with a thief. The concept of thieves stains our mind with a shadowy impression. We’re adjusting right now to almost electing a whole pile of thieves. Now, there are others, who are toying with evidence that we actually got hornswoggled by a pack of thieves. This isn’t a question of when, we know the thief is coming. We can post it on our calendar. This is a scheduled event and will happen. When everybody’s walking around complacent and cocksure, congratulating each other—”We’ve sure got it made! Now we can take it easy!”—suddenly everything will fall apart. It’s going to come as suddenly and inescapably as birth pangs to a pregnant woman. It would be helpful to know what day this thief is coming. When’s this prince of thieves coming to turn our holy place into a hell hole? This “day of the Lord” is not a 24 hour day. It is a time period with many events. The initial event is a major heist. A robbery of what most consider the deplorables. They are disgraceful • shameful • dishonorable • unworthy and shockingly bad in quality. They are lamentable • regrettable • unfortunate • wretched •atrocious • awful • terrible • dreadful • diabolical • sorry • poor • inadequate • appalling • dire • abysmal • woeful • lousy • grievous and of course, totally hated. There is nothing attractive about a deplorable, nothing to cause us to want Him. They’re looked down on and ignored; they suffer and know pain firsthand. One look at a deplorable man and people turned away. We look down on Him, think He is scum. But the fact is, this deplorable thief steals our pains. He carries them away— our disfigurements, thus all the things wrong with us. We thought He brought it on himself, that God was punishing Him for His own failures. But it was our sins that did that to Him, that ripped and tore and crushed Him—our sins! He took the punishment, and that made us whole. Through his bruises we are healed. We’re all like sheep who’ve wandered off and become lost. We’ve all done our own thing, gone our own way. And God has piled all of our sins, everything we’ve done wrong, on Him.. He was beaten, He was tortured, but He didn’t say a word. Like a lamb taken to be slaughtered and like a sheep being sheared, He took it all in silence. Justice miscarried, and He was led off— and did anyone really know what was happening? He died without a thought for His own welfare, beaten bloody for the sins of my people. They buried him with the wicked, threw him in a grave; even though he’d never hurt a soul or said one word that wasn’t true. Still, it’s what God had in mind all along, to crush him with pain. The plan was that he give himself as an offering for sin so that he’d see life come from it—life, life, and more life. And God’s plan will deeply prosper through him. Out of that terrible travail of soul, he’ll see that it’s worth it and be glad he did it. Through what he experienced, my righteous one, my servant, will make many “righteous ones,” as he himself carries the burden of our sins. Therefore I’ll reward Him extravagantly— the best of everything, the highest honors—Because he looked death in the face and didn’t flinch, because he embraced the company of the lowest. He took on his own shoulders the sins of the many, he took up the cause of all the deplorables. We found the garbage can thief. He was the wind blowing the empties into a jungle of blackberry briers. I love this thief. 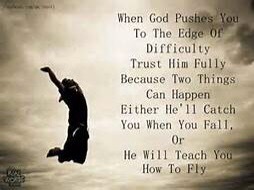 A PRINCIPLE of the LORD. DEVOTION with the whole heart. STRENGTH DRAWN FROM THE SOVEREIGN’S LIFE they walk in his ways. STEADFAST DIRECTION to keep your precepts diligently. SECURE IN ME YOUR DETAILS O that my ways were directed to keep thy statutes! ALEPH is the first letter of the Hebrew alphabet. The psalmist poetically begins the first eight verses of Psalm 119 with the letter aleph. Aleph is the symbol for the Ox. The Ox is a picture of yielding to a superior power to perform a service. This is an image of passive surrender and humble obedience. Jesus lived a life of perfect dependance. Jesus explained, my food is to do the will of Him that sent me, and to finish His work John 4:34. Jesus bowed down in compliance and mused with delight at every word that proceeds out of the mouth of God. LOOK FOR GOD’S RESPONSE but I hope in Your word. LOOK FOR GOD’S PROMISE When will You comfort me? LOOK FOR GOD’S REJUVENATION yet do I not forget your statutes. LOOK FOR GOD’S RENEWAL How many are the days of your servant? LOOK TO GOD’S WORD FOR REALITY they persecute me wrongfully help me. DON’T FORSAKE HIS WORD but I forsook not thy precepts. Each of these eight verses begin with the Hebrew term Caph. CAPH is the eleventh letter of the Hebrew alphabet and is suggestive of the term palm which is the inside cupped area of the hand. Isa 40:12 Who hath measured the waters in the hollow of his hand. Now that’s impressive holding the seven seas in your palm. Isa. 49:16 Behold, I have graven you on the palms of my hands; your walls are continually before me. Jn. 10:28 neither shall any man pluck them out of my hand. No man is able to pluck them out of my Father’s hand. Nothing is too big for him, nothing, no matter how small and insignificant is missed by his gaze and no power can defy his protective grip. We can trust on his tender care and gentle hold on us.